Last year I was introduced to Živa and Saša of the small Austrian company Dorimu, who together create darling, whimsical swinging fairies. Entirely made by hand by combining a detailed level of woodworking and needle-felting, the fairies are so delicate and sweet. Now, Dorimu also offers the most precious shadow boxes. Again, entirely made by hand, with tiny details like driftwood, paper butterflies or a minuscule fishing rod. 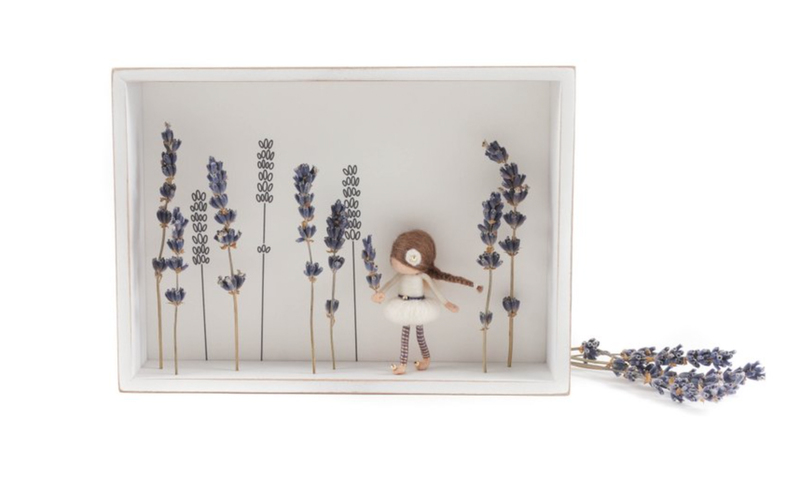 Being presented in a 3D frame, the shadowboxes look a little like a still from a very pretty animation film. 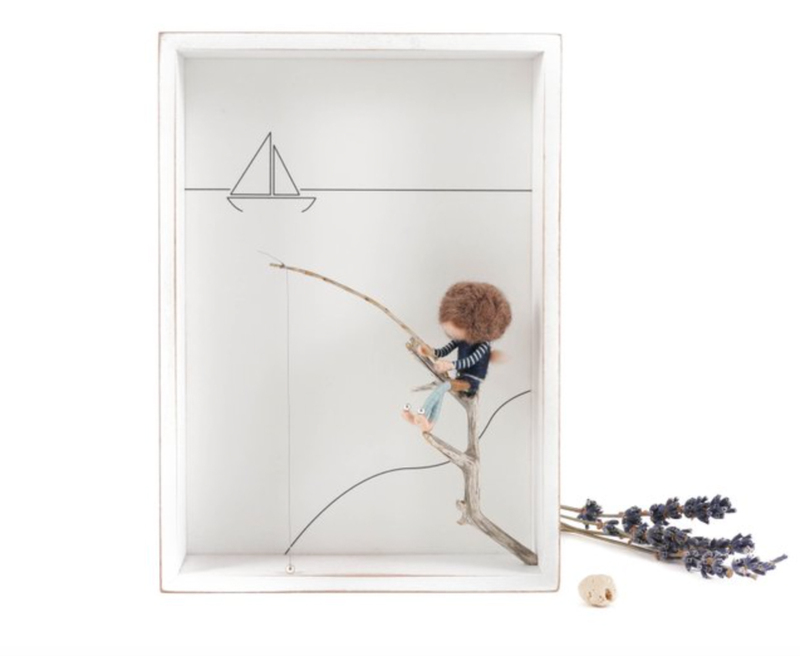 Dorimu shadow boxes are made to order, and customers can indicate details like hair colour or style. They come beautifully presented in a pretty gift box, and would make such a lovely and thoughtful Christmas gift. I feel they are also wonderful as nursery decor. So sweet!